123 choo! choo! Take your toddlers on a train ride right at home! Large pieces are great for little hands. 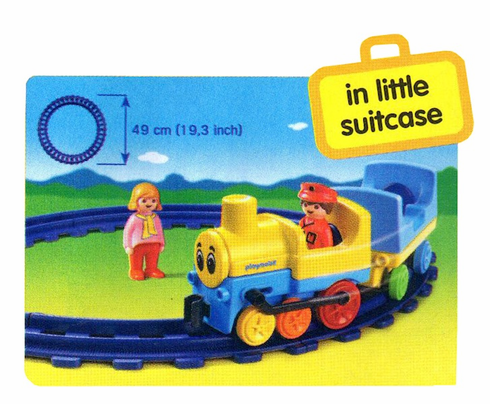 This set includes a train driver and a passenger. The wheels of the train come in different colours, and the track is made up of eight rails that can be assembled easily to form an open or closed circuit.